Marinated large green olives with lemon peel, thyme and special spices for hours. 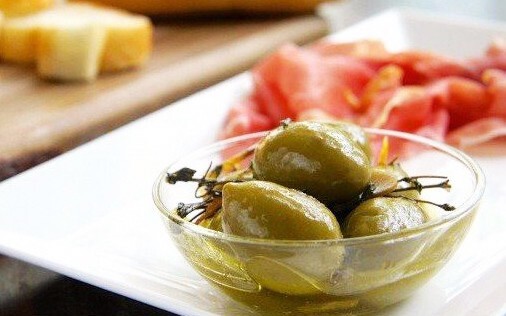 It's juicy meaty olives with a hint of fresh citrus and herb. A great snack for wine and starter for a casual dinner. 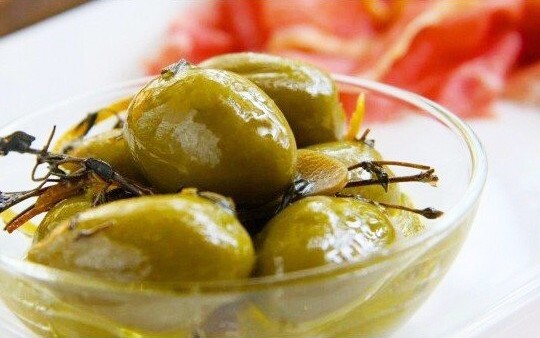 Green olives marinated with olive oil infused with special spices for hours and let it absorb all the flavors. Olives have smooth and meaty texture with a hint of lemon and thyme. It can be stored for a long time as it's packed in a jar with olive oil. It's a great snack with wine or an easy-to-make starter for a house party. Expiration period: Perishable. Please consume it as soon as possible.